As you guys may know, my hair has been under the watchful eye of Caely Tham. She has taken care of my colours, treatments and cuts for years now and she has seen the ups and downs. After I gave birth to Davina, I visited Caely 2 months after my confinement. I bemoaned to her about my postnatal hair state. Like with Aidan, the condition of the hair became unruly, rough and dry at the ends. Soon, postnatal hairloss would start. Oh my tian. I came to Caely with disheveled hair which was pretty much entangled despite putting on hair oil and combing my hair. Caely recommended Leekaja's in-house keratin treatment called the Cinderella treatment. It is a keratin treatment alongside keratin ironing. The treatment contains an unique blend of organic aloe vera and onion, which helps make up moisturising ingredients to help repair the hair before sealing in the keratin in. Not only is it suitable for bleached hair, it also does not give ramrod straight effects. In fact, it looks more a good blow-dry or soft rebonding. The best thing? It lasts for 2 months. All mamas should go for this treatment, who has time to style your hair when busy with the kids? This treatment ensures the most fuss free approach! I also opted for a trim to keep things simple. Here's the final results! I love the final result! I spend less than 5 minutes on my hair now and it looks blowdried all the time! Check out Leekaja Beauty Salon located at Mandarin Gallery now! Quote my name (nadia or nadnut) to get a discount off your chemical services (i.e. colouring, treatment, perming, straightening etc)! Anyway, If you like any of my hair colours, do show Caely these pics to get the colours! Easier to show her. Go for this Korean Keratin Treatment today! 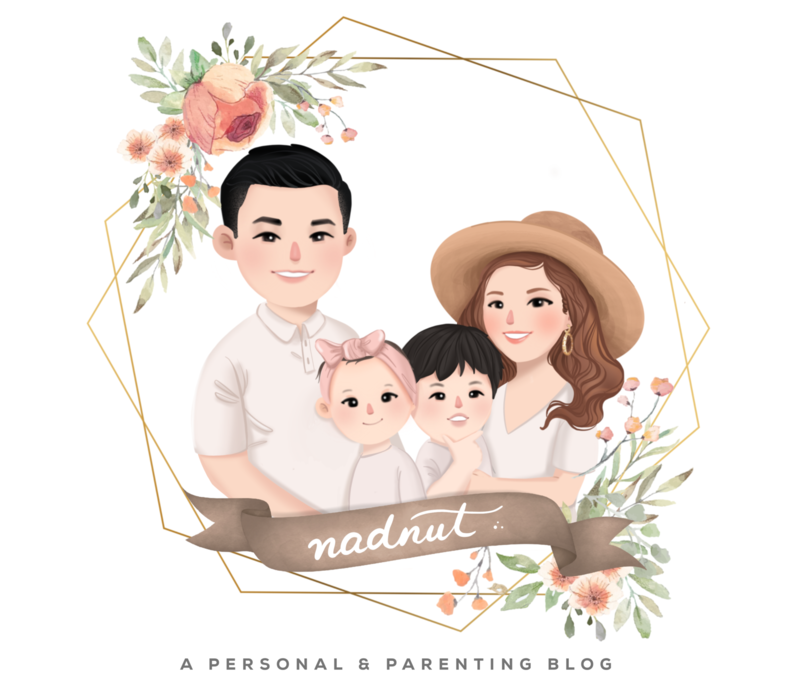 Posted in Beauty, Hair, Hair Colour, Hair Treatments, Hairstyles, Singapore Beauty Blog, Singapore Lifestyle Blog, Singapore Mom Blog, Sponsored. Tags: 10% discount off Leekaja Beauty Salon, 10% discount off Leekaja Salon, Beauty blogger, beauty reviews, blogger shunji matsuo discount, caely, Caely Leekaja, Caely Shunji Matsuo, Caely Tham, Caely Tham Leekaja, Caely Tham Shunji, Cinderella treatment, Good hairsalons in Singapore, Hair salons at Mandarin Gallery, Hair Salons in Orchard, hair styling, hair treatment, Hair treatments, hairstyles, keratin treatment, Keratin treatment in Singapore, Korean Beauty Salon, Korean Keratin Treatment, Leekaja, Leekaja Beauty Salon, Leekaja Blogger, Leekaja Caely, Leekaja Caely Tham, Leekaja Cinderella treatment, Leekaja Discounts, Leekaja Keratin treatment, Leekaja Mandarin Gallery, Leekaja Promotions, Leekaja reviews, Leekaja SG, Leekaja Singapore, nadnut, nadnut hair, nadnut.com - Singapore Lifestyle Blog, orchard, Promotions at Leekaja, review, Review of Leekaja Beauty Salon, Salon promotions, singapore beauty blog, Singapore Beauty blogger, singapore blog, singapore blogger, singapore lifestyle blog, Tokio Inkarami, Tokio Inkarami Hair Treatment, Tokio Inkarami Hair Treatment review, Tokio Inkarami review on August 3, 2018 by nadnut. As some of you guys may know, I have a regular hairstylist Caely Tham. She has taken care of my hair for about 4 years now and I'm very comfortable with her. Especially so when she had to deal with my weird hair during pregnancy and postnatal hair loss. FYI, mums go thru lots of hair changes during and after pregnancy. The texture and condition all changes. Caely has been wonderful throughout and has taken good care of my hair. Leekaja Beauty Salon is conveniently located at Mandarin Gallery, a stone's throw away from Caely's previous salon. I was wowed when I first arrived at Leekaja. It was HUGE. Leekaja is much bigger than most salons that I have visited and they offer a wide range of beauty services thus the name Leekaja Beauty Salon. It is basically a Korean one-stop beauty solution salon. Some of the services that they provide are hairstyling, nail, eyelash, makeup and barber services. But fret not, their prices are very competitive! I felt very pampered when I arrived at Leekaja. I was offered a light snack and refreshment just incase I was peckish and thirsty. I was quite shy to see Caely as it had been quite some time since I visited her. My hair was a mess and I hadn't taken care of my roots as regular as I should. At that time I was also in the early stages of my pregnancy. I whispered to Caely and after all the congratulations and hugs, she whisked me away to a private area away from all the chemical smells. We discussed options and decided to go for a healthier hair colour without touching my roots alongside the Tokio Inkarami Hair Treatment to tame my very unruly hair. Caely shared that the Tokio Inkarami Hair Treatment helps to restore damaged hair to healthy hair by an amazing hair repair strength of up to 140%! The treatment has also a Nobel Prize Ingredient called Fullerene which is the world's strongest anti-oxidant to fight aging and humidity! The Tokio Inkarami Hair Treatment consists of a few steps to help increase the supply of keratin, to make the hair stronger and also increases the supply of CMC & Ceramide 2 to help regain silkyness and shine and lastly to help repair the hair cuticles. I also brought home the Tokio IE Home Care products which helps to increase keratin protein buildup in my hair while protecting my cuticle from external stresses and improves muster and smoothness. Even after bleaching my hair so often, my hair is strong and healthy! All thanks to the wonderful hands of Caely and using the Tokio Inkarami products! This is the final outcome after my experience at Leekaja Beauty Salon. Caely refreshed my colour without touching my roots. She gave me a lovely dark colour coupled with some bits purple and pink. I LOVE IT! Thank you Caely for always understanding my hair needs! Check out Leekaja Beauty Salon located at Mandarin Gallery now! Quote my name (nadia or nadnut) to get 10% off your chemical services (i.e. colouring, treatment, perming, straightening etc)! Anyway, If you like any of my hair colours, do show Caely these pics to get the colours! Easier to show her. Posted in Advertorials, Beauty, Hair, Hair Colour, Hair Treatments, Hairstyles, Singapore Lifestyle Blog, Singapore Mom Blog, Sponsored. Tags: 10% discount off Leekaja Beauty Salon, 10% discount off Leekaja Salon, Beauty blogger, beauty reviews, blogger shunji matsuo discount, caely, Caely Leekaja, Caely Shunji Matsuo, Caely Tham, Caely Tham Leekaja, Caely Tham Shunji, Good hairsalons in Singapore, Hair salons at Mandarin Gallery, Hair Salons in Orchard, hair styling, hair treatment, Hair treatments, hairstyles, Korean Beauty Salon, Leekaja, Leekaja Beauty Salon, Leekaja Blogger, Leekaja Caely, Leekaja Caely Tham, Leekaja Discounts, Leekaja Mandarin Gallery, Leekaja Promotions, Leekaja reviews, Leekaja SG, Leekaja Singapore, nadnut, nadnut hair, nadnut.com - Singapore Lifestyle Blog, orchard, Promotions at Leekaja, review, Review of Leekaja Beauty Salon, Salon promotions, singapore beauty blog, Singapore Beauty blogger, singapore blog, singapore blogger, singapore lifestyle blog, Tokio Inkarami, Tokio Inkarami Hair Treatment, Tokio Inkarami Hair Treatment review, Tokio Inkarami review on December 18, 2017 by nadnut.